Digital Marketing is the latest developing technology around the globe (it is very popular in the United States, United Kingdom, Australia and New Zealand). Anyone having knowledge of internet and English can learn Digital Marketing easily. All businesses are moving towards the digital way of promotion, and hence they need Digital Marketing experts to promote their service or products in the required channels. Digital marketing techniques can reach more customers online using targeted media like SEO, SEM, Social Media, etc. Digital Marketing is a Technic(Method) used to Reach your Products and Services to your audience online through Digital Marketing Channels and Technics likes Social Media, SE0, SEM, Email Marketing, Video Marketing, Mobile Marketing and Viral Marketing etc. Internet and Mobile devices play a key role in the growth of Digital Marketing mainly because all this can be done using internet through mobile (approx. 70%) ranging from students to businessmen. Social Media Marketing: SMM for sharing updates across social media and also for generating traffic through social media. Mobile Marketing: Generate traffic through SMS, WhatsApp and Mobile App. Video Marketing: Promote and generate traffic through YouTube videos. There is no minimum qualification for learning Digital Marketing. According to recent trends for Digital marketing courses, there is huge demand as a number of students, businessmen and marketers are looking for such courses both online and in class room training. You can easily learn Digital Marketing online as resources are readily available from different institutes and bloggers on the net. For learning digital marketing you just need to have basic knowledge of internet and English. You can accomplish this by referring tutorials and learn on your own. Of late, many businesses and top brands have begun advertising through social media instead of radio, newspaper, TV commercials, etc. If you want to promote your products, events, services, training, etc., you need a digital marketing expert to effectively do the marketing for a good return on investment (ROI) or else the business owner should himself digital promote it. The popular digital marketing promotional channels are. Google AdWords / PPC: Using Google AdWords you can promote search, Display and Video Ads in Google and Partner sites. By using AdWords you can generate Paid Traffic to the website. To know more about AdWords and Certifications Click Here. Social Media: The popular social media channels in India are Facebook, Instagram, Twitter, LinkedIn, etc. Email Marketing: By adopting Email marketing techniques we can reach the target audience directly. Mobile Marketing: Mobile marketing can be done by using SMS, Mobile App and Responsive Websites. SEO: SEO stands for Search Engine Optimization. This technique is used for generating organic traffic to websites. To know more about SEO Techniques Click Here. Most people are now familiar with social media like Facebook, Instagram, etc. With the help of Social Media one can do free promotions and paid promotions. The advantages of doing social media promotions are that you can directly tap your target audience (customer) like particular age group, geographic location, etc. 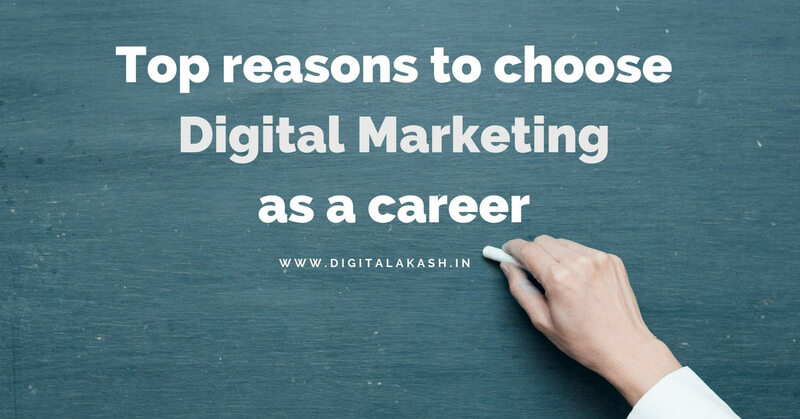 Once you are an expert in digital marketing you can find a job anywhere across the globe because as it is an emerging technology in all the countries. It has already gained popularity in the US, UK and Australia. 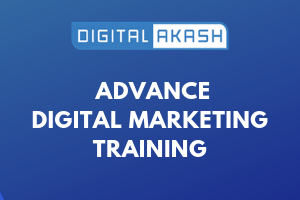 Advantages of learning Digital marketing are that you can survive anywhere and you can work for your client from anywhere and also it is a continuous job. There are no specific skills or qualifications needed for learning digital marketing. Anyone can learn it for free online or offline but one should be familiar with browsing and English. There are a lot of resources freely available as mentioned above. By learning digital marketing you can move your business online or guide others to move their business online. Smartphones have played a significant role in the rapid growth of digital marketing. About 70% of searches come from a smart device seeking information on products and services. Digital Marketing is one of the much sought after skills in the IT Industry as every business needs Digital Marketing for promoting their sales and services. A skilled Digital Marketing Specialist will be well paid. The potential of job growth in Digital Marketing is high. As of today, there are very many jobs in the industry and many more openings are certain in the near future going by the present growth. You can get jobs with different profiles based on specialization. Once you gain confidence in the Digital Marketing Domain (Online Marketing) you can find freelance jobs online. You can try freelancing for SEO, daily Social Media Posting, Paid Promotions like PPC, Social Media Paid, etc. Blogging is a popular method of Digital Marketing. Before starting blogging choose an interesting topic (the one in which you are good at) then start a blog by writing on relevant topics. Through the blog, you can brand yourself and share your knowledge across the globe. You can also make money through your blog by applying AdSense or an Affiliate program. Note: You can find relevant topics from Quora for writing articles as members from the public talk about what kind of information is required through Quora groups. Google AdSense or various other Affiliate Programs. If your blog is popular it means that others are ready to pay you for promoting their website links or services on your blog. Conclusion: Advantages of learning Digital Marketing is that s/he utilizes this domain knowledge in various ways, some of which are listed below.